Betfair regular TonyC could not believe his luck when turning €10 into €10,000 earlier this month on Betfair Poker's innovative Twister SNG tables. Twister Poker adds an extra element of chance to usual SNGs by assigning a random payout between x2 and x1000 a player's stake. We caught up with the lucky winner to ask him about the experience of landing the jackpot. "Ecstatic just about sums up my feelings on the win.... along with disbelief! ", he said. The money will be spent on DIY and and holiday revealed the lucky winner. "It's particularly helpful at this time as we need funds for some home improvements, and probably towards a holiday after Christmas - I think a big win is always a gamblers dream!" A veteran of the Betfair Poker tables, Tony especially enjoys the gambling element of Twister Poker. "I've been playing at Betfair a very long time - mainly recreational and for low stakes - I just enjoy a few games, and I like the chance element in the new Twister where your winnings can be quite variable!" Like many players, he is beginning to warm to the new poker client after initial reservations brought on by the natural resistance to change. "I am getting more used to the new poker client, but I do miss the old one! There have been some recent improvements that have made it a much better experience than when it was first implemented." 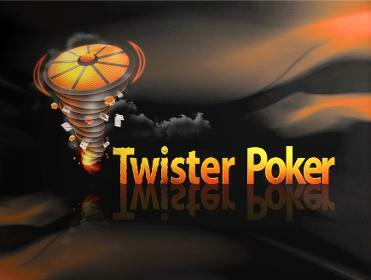 Find out more about Twister Poker on Betfair and don't forget to check out our Twister Poker Strategy article. "I like the chance element in the new Twister where your winnings can be quite variable!"